Cathedral Solitaire Yellow Gold Engagement Ring | Shane Co. The cathedral design of this engagement ring features clean lines leading to the setting where the diamond of your choice will be centered. 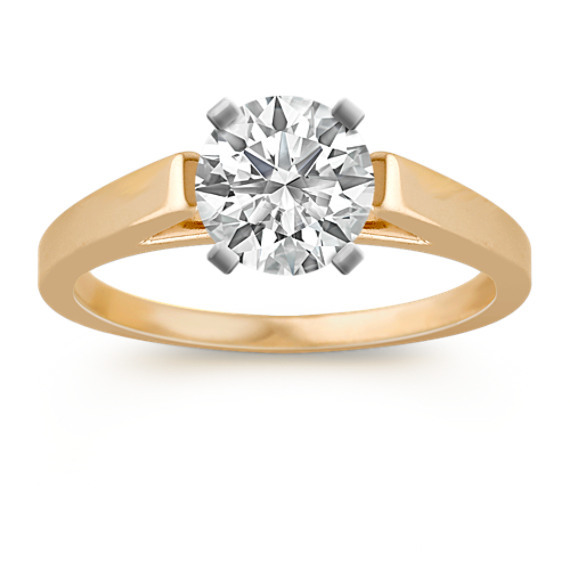 This elegant ring is crafted of quality 14 karat yellow gold.